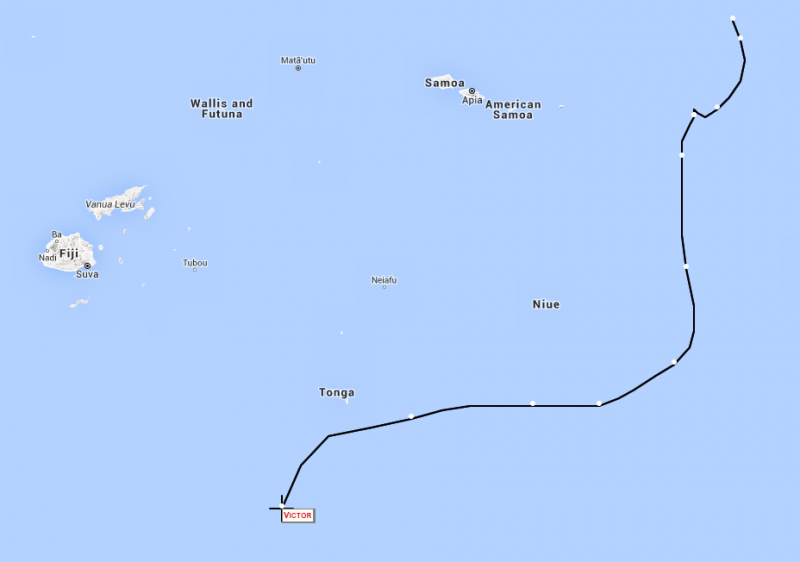 Historical track of TC Victor to 1 pm Saturday 23 January 2016. Image via NOAA Earth System Research Laboratory. Cyclone Victor is currently located near Raoul Island, approximately 1500 km northeast of Cape Reinga. Satellite image showing the location of Cyclone Victor at 1:20 pm, Sunday 24 January 2016. Cyclone Victor is forecast to continue to move southwest towards New Zealand today and pass Raoul Island to the southeast during Monday. As it passes Raoul, Cyclone Victor is expected to undergo a transition from a Tropical Low to a mid-latitude low, which means the winds around the low could re-intensify in some sectors. Strong winds and some rain are expected as Victor passes Raoul. However, based on the currently available information, damaging winds or significant rainfall accumulations are not expected. 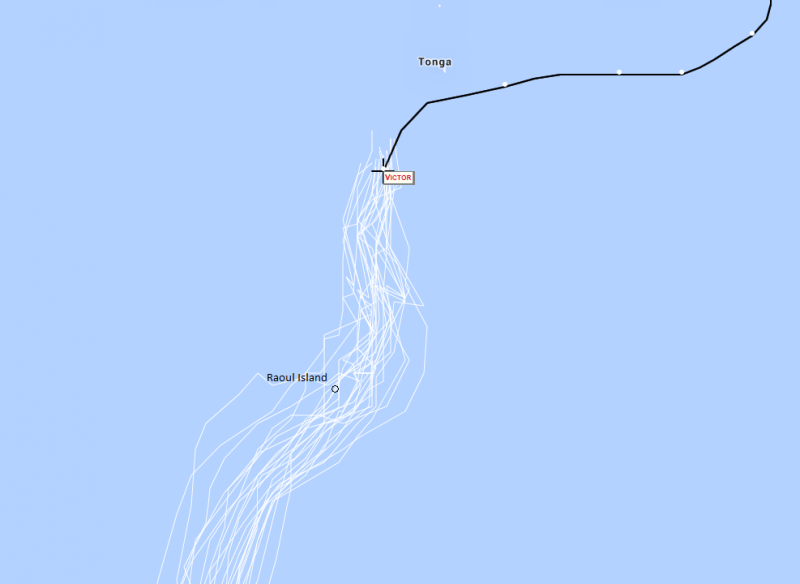 Possible future tracks near Raoul Island for Cyclone Victor based on UKMO data. Original image from NOAA Earth System Research Laboratory. On Tuesday, the first band of rain associated with Cyclone Victor is expected to spread across the North Island. Then on Wednesday, Cyclone Victor is forecast to make its approach on the country and is expected to be situated northeast of Gisborne by midnight. At present the computer models are fairly consistent with respect to the track of Cyclone Victor and the distribution of weather associated with the system. Victor is expected to bring strong winds, rain with some heavy falls and moderate swells to north eastern areas of the North Island from Wednesday through into Thursday. However, there is still some uncertainty regarding the system’s intensity so people are advised to monitor the latest forecasts and any Severe Weather Watches or Warnings that may be issued at http://metservice.com/warnings/severe-weather-warnings. 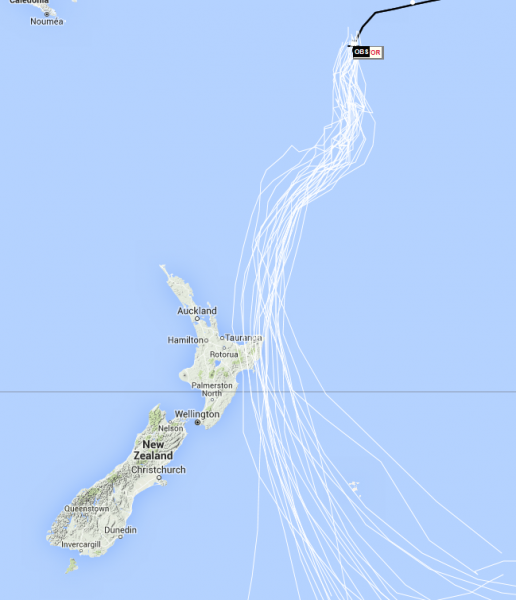 Possible future tracks for Cyclone Victor based on UKMO data. Original image from NOAA Earth System Research Laboratory. 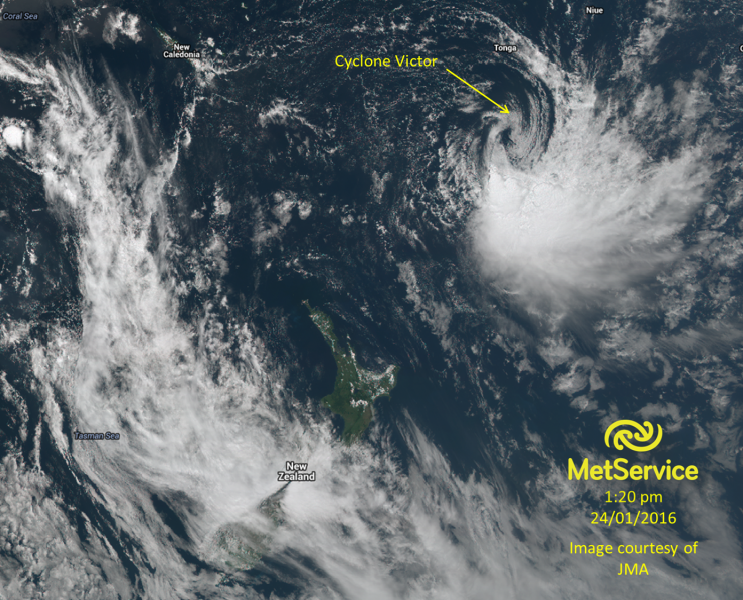 We’ll post further updates on Cyclone Victor in the coming days on Facebook and Twitter, and as always, you can keep up to date with the latest forecasts and warnings at metservice.com.